Like many large companies, Honeywell has a tradition of solving software problems one solution at a time, resulting in less design and development reuse on projects, longer product cycle time and inconsistent experiences for customers. The need to leverage the innovations made across projects was evident. We set out to enable teams to build on the successes of others within our organization. We wanted to speed up the design and development of our software experiences while maintaining the right level of consistency. So, the team created the Honeywell Core User Interface (HCUI) Kit for designers to craft compelling experiences and deliver high-quality designs that are recognizably Honeywell. 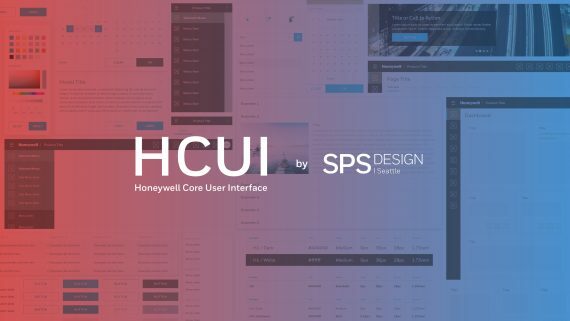 The HCUI Kit is a Sketch file with a Honeywell Design Language System compliant library of symbols and templates for rapid design in developing responsive web applications. Engineering teams to cut down development cycle time by nearly 30% (based on good faith estimates) creating more capacity through a shared platform. Product teams to troubleshoot / fix issues quickly as the code base for components will be common and vetted by many teams. Designers and developers to actively track analytics, manage and deprecate UI components easily as needed. Designers to prioritize critical UI components across projects more easily. Designers to have a consistent & established workflow for moving designs into development which decreases overall cycle time. Product teams to covert design intent to implementation more quickly and with less rework.